Nobody does well without hope! All of us need this confidence to face the future. Question any coach about his team’s spirit heading into overtime. Query any fan leaving with seven minutes left and ask if hope helps one stay to the end. Ask any cancer treatment nurse if hope matters. Ask a marriage counselor if hope has any role in reconciliation. They will all tell you that hope makes a huge difference. On Easter Sunday, April 21, we are celebrating hope! 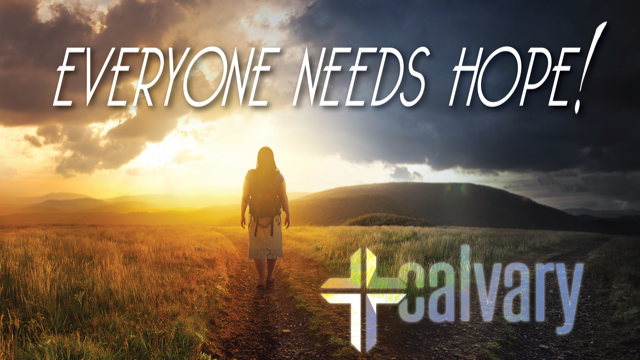 Our hope at Calvary is tied to Jesus Christ. But an important question to ask is, “Why would Jesus bring a person to have hope?” We are inviting you to come and hear that question answered. We are inviting you to the experience of hope. Conveniently located minutes from Downtown Cincinnati, in the heart of Latonia, Kentucky. As a visitor, you’ll find convenient visitor parking. Security is a priority, we have a secure check-in process for your children.